The CZ-75 is one of the most successful handguns in modern history but it wasn’t easy to get to the top. CZ is one of the top firearms producers in Europe and has been for nearly 100 years. The Czech arms manufacturer was established post-World War II but never saw international success until the fall of the Soviet Union. In fact, this handgun wasn’t even available in the U.S. until several years into its production. Similarly, the Iron Curtain was tremendously detrimental to the CZ-75’s success thanks to the strict limits imposed by the Warsaw Pact. The CZ-75 is surprisingly one of the most widely-circulated and trusted semi-automatic pistols in the world. Despite its basic appearance and classic features, the Czech handgun is used by more militaries and law enforcement than any other gun in its class. As a matter of fact, with well over 1 million units produced, the CZ-75 is surpassed only by legendary pistols such as the Glock 17 and Beretta 92. Although the CZ-75 may look standard, there’s more to it than meets the eye. 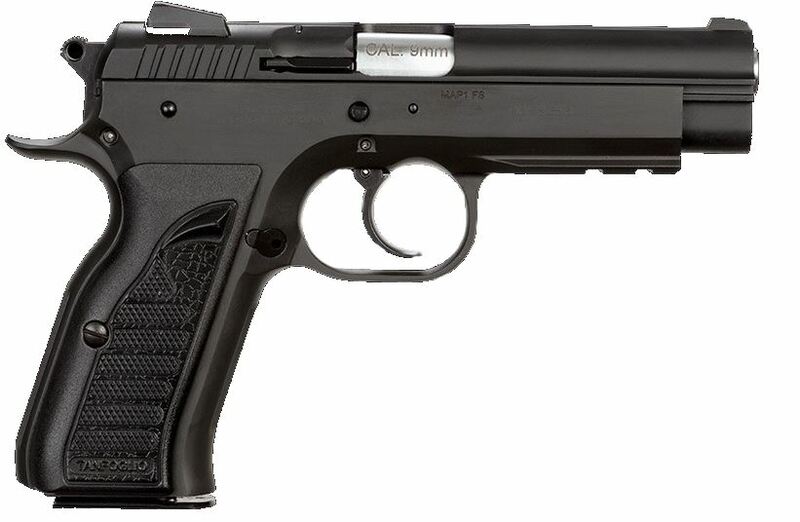 The most notable feature of the Czech 9mm pistol is its highly-durable all-steel construction. Like traditional Sig Sauer firearms, the CZ is a heavyweight that can sure as hell take a beating. I would venture to say they are even among the longest lasting pistols on the market. CZ’s extraordinary team of engineers searched around the world to find the best of the best when they were designing their flagship weapon. 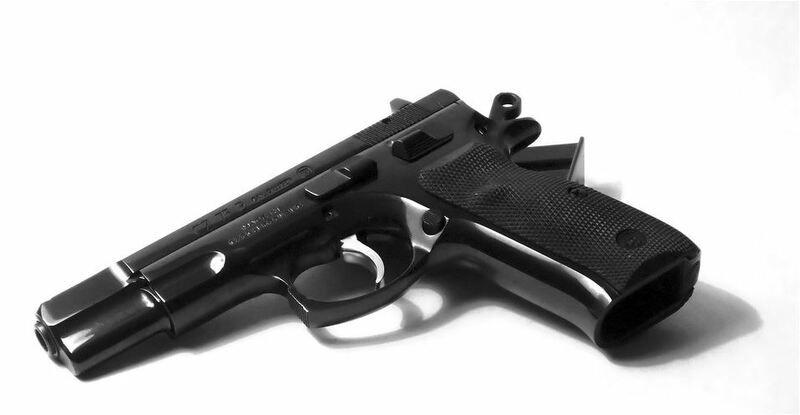 They researched and copied from so many other guns that you could probably call the CZ-75 a “Frankenstein” pistol. At the end of the day, their efforts proved to be incredibly worthwhile. However, due to communist-era laws and regulations, there was little to no patent protection. 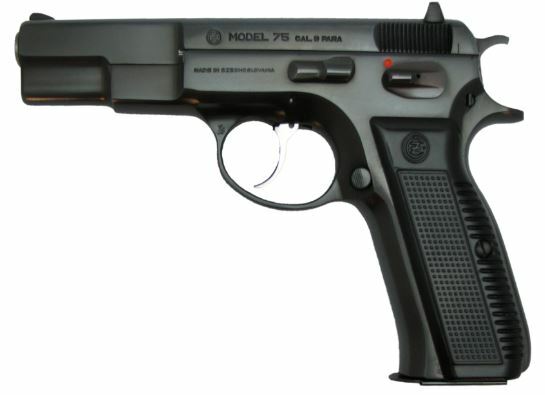 As a result, several worldwide companies were able to copy and clone the CZ-75 and market their own version of the Czech pistol. While none are as popular as the CZ, big name brands such as Armscor and Springfield manufacture their own proprietary models. The short-recoil operated, locked breech semi-auto just doesn’t make sense. A pistol this old and heavy is just not supposed to be this ergonomic and dependable. I’m not sure whether it was their lack of resources and research capabilities or what, but the then-Soviet gunmaker employed some pretty interesting features and components. For instance, the CZ-75 was built around John Browning’s linkless cam locking system, most commonly found in the Browning Hi-Power. The CZ-75 is not just extremely common, it’s also insanely highly-rated. Fans of the 9mm love its multiple safety and action configurations that they just can’t get enough. CZ designed most of their models with both single- and double-action capabilities plus frame-mounted manual safeties. Even better, many of the newer 75’s come with decocking levers and/or firing pin blocks. Altogether, the CZ-75 is one of the safest carry pistols on the market without sacrificing any readiness to fire. Case in point, the Czech firearm is often carried with the manual safety on, hammer cocked, and a round in the chamber. 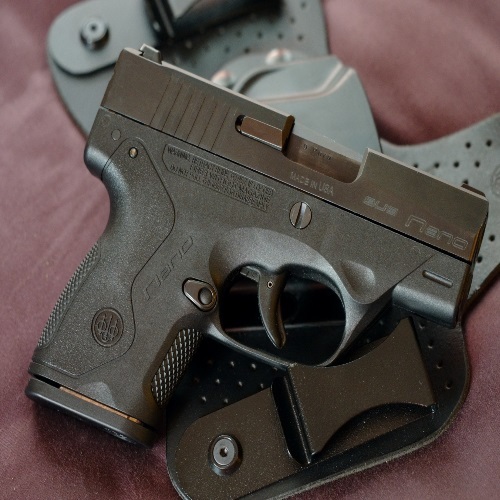 This method of carrying, referred to as “condition 1” only requires a simple switch of the safety and it’s ready to shoot. Furthermore, the CZ-75’s which aren’t DAO offer a half-cocked option which enables the shooter to manually and safely decock the gun. 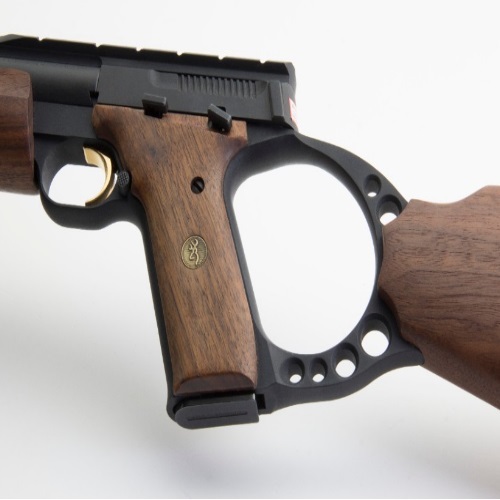 To make the 75 even more unique, CZ incorporated the slide into the frame rails. While this may not seem like a game-changer, this unique construction technique offers a better barrel lock-up and tighter fit between the frame and the slide, ultimately boosting accuracy. For an all-steel firearm, the CZ-75 is surprisingly regarded as an ergonomic pistol. While there’s nothing extraordinary about the 75’s grip system, it does have a pretty sweet trigger grouping. Although some users complain about the curvature of the trigger, most shooters agree that the semi-auto has a great pull. The smooth as silk trigger is unbelievably consistent and intuitive that you’ll be a natural in no time. The CZ-75’s magazines and capacities might actually be its most innovative qualities. For starters, the semi-auto was one of the first of its kind to utilize a staggered-column magazine and feature a high-capacity mag while also providing a manual safety. Keep in mind that some CZ-75 models can carry up to 26 rounds while many comparable pistols could only handle around 10 at the time. A gun is only as good as it shoots and the CZ-75 shoots great. In fact, the 9mm is extremely popular among competitive and sport shooters, especially in the Czech Republic. Oddly enough, competitive shooting is actually one of the top sports in the Eastern European country. So much so that they do surprisingly well in the Olympics and other international shooting tournaments. I could keep telling you more about how accurate and consistent the CZ-75 is, but I think its sheer numbers do it justice. At the end of the day, there’s a reason why it’s universally trusted by militaries, law enforcement, and competitive shooters alike. Nevertheless, there have been nearly three dozen variants made by CZ alone, so it’s crucial to know what’s out there and what to look for. For example, while the original CZ-75’s were outfitted with front blade and rear square notch sights, some newer models feature tritium, low-profile, fully-adjustable, and night sights. Lastly, I can’t forget to mention how impressive the CZ-75’s handling is! A gun as classy, reliable, and heavy as the CZ-75 requires a holster to match. 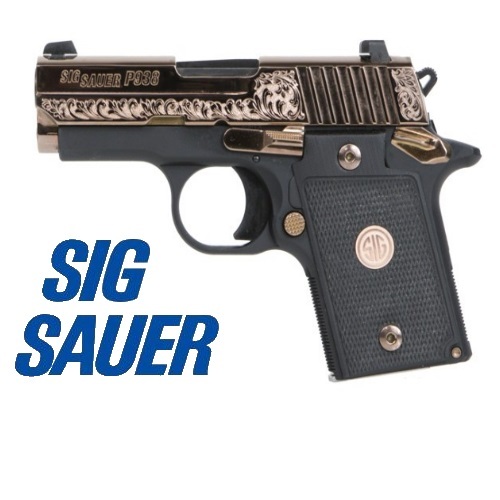 That being the case, there are countless options to choose from for the super-popular firearm. The first place I always look is AlienGear Holsters and their sweet collection of ultra-functional and affordable holsters. On the other hand, you can’t go wrong with something like the Bianchi 5 Black Widow if you’re looking for something a little more sophisticated. The American-Czech gun enterprise recently unveiled the P-07 Duty, a modern take on the classic CZ-75. Although the new and improved 9mm is based on the original model 75, it’s way different than you’d expect. Besides for its compact design and revamped trigger grouping, the P-07 is also polymer-framed *GASP*. Additionally, CZ included the ability to switch the decocking lever to a manual safety (and vice versa) and also markets a .40 S&W version to add some much-needed versatility. Thanks for joining us here at Gunivore! Stay tuned for more in-depth reviews of CZ Firearms.